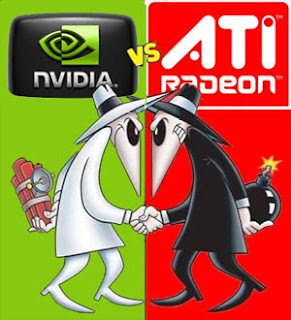 Home / Benchmark / News / GTX 470 VS HD 5870 Benchmarks test "fake"
"IT168 Graphics Channel " site recently received a special channel for news, said a new generation of NVIDIA's flagship graphics card GTX470 times accurate performance reports, GeforceGTX470 in somehow in the 3Dmark Vantage is divided into sub-X7400 around, GPU score of 7100 points, while the same platform Overall score for 6400 run RadeonHD5850 around, GPU score of 6200 or so. 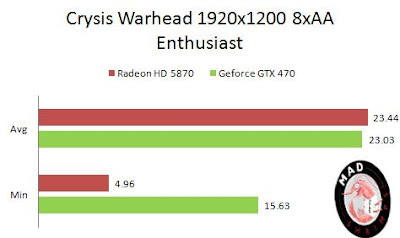 GeforceGTX470 810/3200MHz, 320Bit GDDR5, At the same time allegedly GeforceGTX470 core / memory operating frequency of 810/3200MHz, using 320Bit GDDR5 memory. 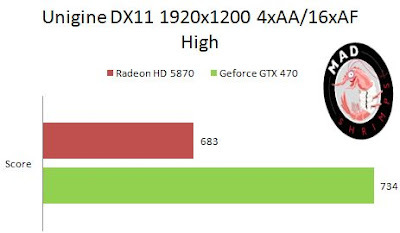 interesting results, can anyone explain the results to indicate why 470 was so optimized for dx11 but couldn't beat the 5870 otherwise? please keep in mind that the pictures Benches are not official ! because the 470 is supposed to go up against the 5850, and the 480 is supposed to go up against the 5870?